What happens to a child whose early life is marked by trauma and loss? Can a reviled "other" find the courage to speak out? Anna Rabkin's comfortable childhood in Krakow ended abruptly when her Jewish family fled both Communists and Nazis during World War Two. Smuggled out of the Lvov ghetto, only she and her brother survived. In 1946 a kindertransport took Anna to England and the bewildering world of British boarding schools. With help from relatives, she moved to New York, where she met her husband. After honeymooning in Castro's Cuba, they found a new life in Berkeley, California. The turbulent 1960s drew Anna away from her role as a stay-at-home mother and into the fray of Berkeley city politics. Elected to office in 1979, she joined one of the most progressive—and contentious—governments in the country. Tackling the issues of the day-and the endless behind-the-scenes intrigues-led to satisfying triumphs and exhausting defeats. She completed her journey by becoming a civic leader with deep roots in her community. Inescapably, loss returned to mark her life again. 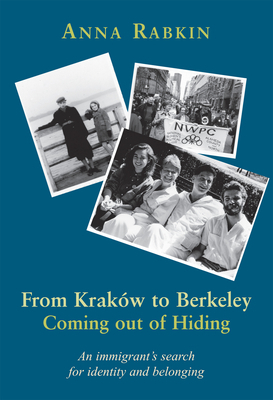 This is a personal story shaped by historical events: from the Holocaust to the Cold War, the Free Speech Movement to the women's movement, international incidents to hyper-local political battles. With honesty and humour, Anna addresses the challenges she faced: the scourge of anti-Semitism, the marital tensions a wife's career can create, and the vindictiveness of electoral politics. Ultimately, however, this is a story of healing and resilience, of how love and acceptance gave her the confidence to become an engaged citizen.